Last week at BlueChilli, our latest SheStarts cohort stepped out of the shadows to showcase their startups to a huge gathering of corporates, investors and ecosystem leaders. 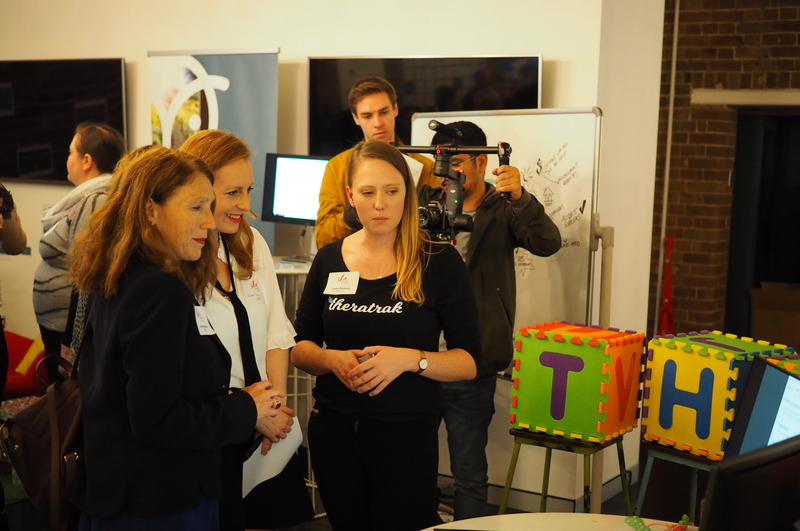 The SheStarts Customer Demo day provided an exciting opportunity for the founders to test their early-stage products with a live audience, receive crucial feedback and explore opportunities to pilot their products with key partners. For the three months leading up to the day, the founders had been working around the clock to validate their ideas and translate their big visions into viable, scalable technology that will meet the needs of their customers. On Demo Day, they lifted the lid on their businesses, sharing their emerging technology with the constant flood of people who poured through the doors of BlueChilli. 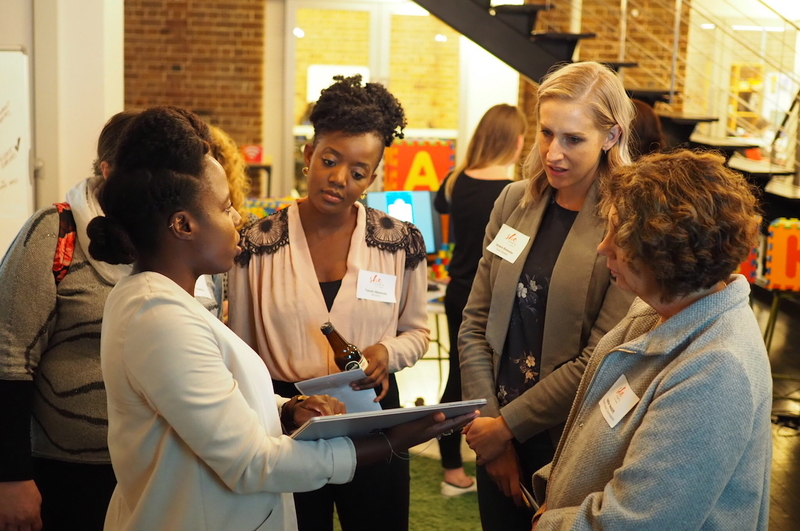 Even more than capital, startups need customers – and that’s why the SheStarts program is crucially designed to bring corporate partners together with founders to look for those key pilot opportunities. Senior executives from some of Australia’s largest companies including SheStarts partners ANZ, MYOB, Microsoft and LinkedIn came to speak with the founders, all eager to learn more about their tech products and explore opportunities to pilot and partner with these emerging startups. The founders blew the crowd away with what they had achieved since the start of the accelerator. Throughout the afternoon, guests were invited to experience the new technologies on display, such as Talkiplay’s real-world language playground for children where spaces come to life through technology; The Neighbourhood Effect’s smartphone app that uses behavioural science to help users adopt environmentally-sustainable habits; and Pioneera’s digital platform and “whinge-bot” using natural language processing and machine learning for the early identification and reduction of workplace stress. The founders were supported on the day by their BlueChilli teams of EIRs, Product Managers, Designers and Developers who had worked closely with each of them to get their products ready for launch and their startups ready for piloting. 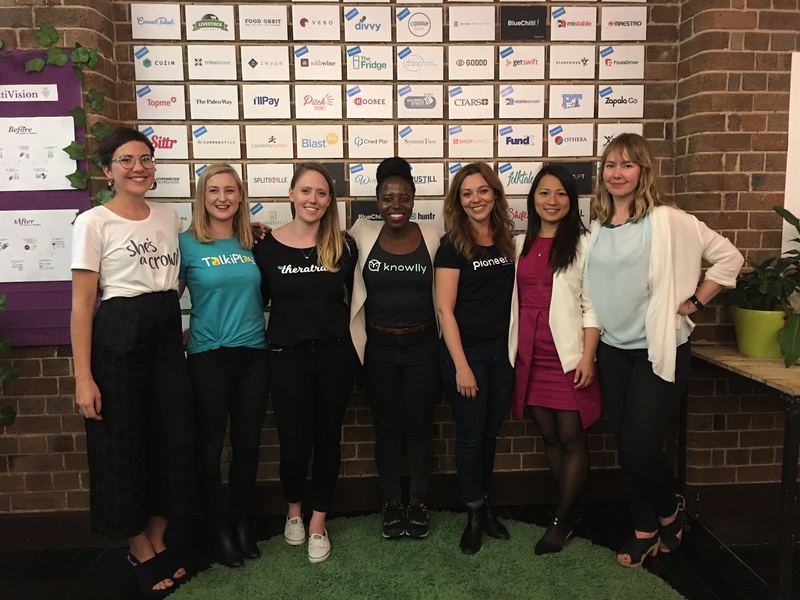 For all of us, Demo Day represented a special milestone in the SheStarts program; a huge accomplishment for the founders and a proud moment for our teams who are supporting them on this wild startup ride. The huge turnout for the event was a great demonstration of the deep interest in Australia for working with and investing in impactful, scalable tech startups. It was also a particularly strong indication of the growing ecosystem of support for female founders. Of course, Demo Day is just the beginning. For the next two months, the founders will be focused on traction, traction, traction, as they prepare to travel to the US for a two-week delegation in New York and San Francisco – and return for the all-important SheStarts Investor Night in August.